While I do not agree with all the conclusions in the article, there are four criticisms that the authors make that are relevant to developing CI for your own use or with others on your business team. The first criticism is that “[the] Intelligence function is not integrated with the top levels of decision-making.” By generating intelligence for your own use, you not only to avoid the dreaded fundamental disconnect (for more on that, just search this site), you also immediately avoid this problem. As the decision-maker, you are seeking intelligence on a regular basis, whether or not you have an immediate problem. You are constantly monitoring your competition and, if possible, potential competitors, to avoid surprises. To this extent, the individual marketing director, product manager, or strategic planner has a distinct advantage over senior management: he/she is collecting and using CI the proper way, as part of decision-making, by virtue of the fact the decision-makers are developing the CI. 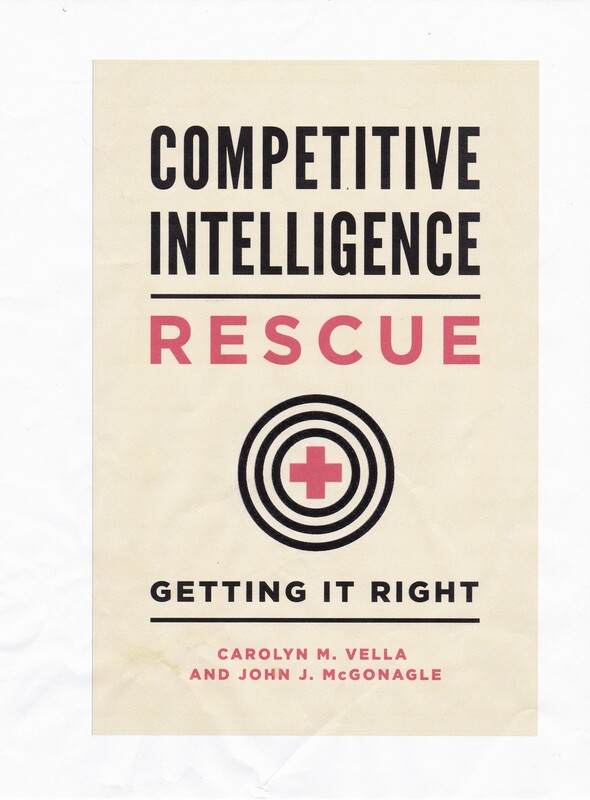 A second criticism is that “[m]anagers lack the skills and training to use intelligence effectively.” Here, the authors point to the fact that in most large organizations, intelligence is sought only after a problem arises, and not before (an observation with which I do not agree), so that advance warnings, which they regard as a key benefit of intelligence, are the exception. As for you, having at least a partial hand in collecting the data and analyzing it, you understand how to use it effectively, including understanding the strengths and weaknesses of intelligence – all because you have helped develop it. A third criticism is that “[t]here is no established career path for intelligence professionals in the [multinational enterprise].” Again, those of you who are generating your own CI do not have to worry about this rather troublesome situation. The authors are correct that in very few companies is there an established career path or trajectory for CI professionals’ advancement. To advance, generally they have to shift from CI to some related function like strategy or marketing. However, if CI is a part of your skill set, then your promotion and career opportunities are based on your performance of your primary job, whether strategy, marketing, sales, corporate development, or other. And your performance there, in my opinion, cannot fail to be enhanced by having CI as a part of your intellectual toolkit. I will touch on a fourth criticism and give my take on the comparisons of government with the private sector next week. Edward Mozley Roche and Michael James Blaine, The Intelligence Gap: What the Multi-National Enterprise Can Learn from Government and Military Intelligence Organizations, Thunderbird International Business Review, Volume 57, Issue 1, pages 3–13, January/February 2015.